Queen Elizabeth I was the queen of England between November 17, 1558, until her death on March 24, 1603. She was born January 15, 1533 and daughter of King Henry VIII. 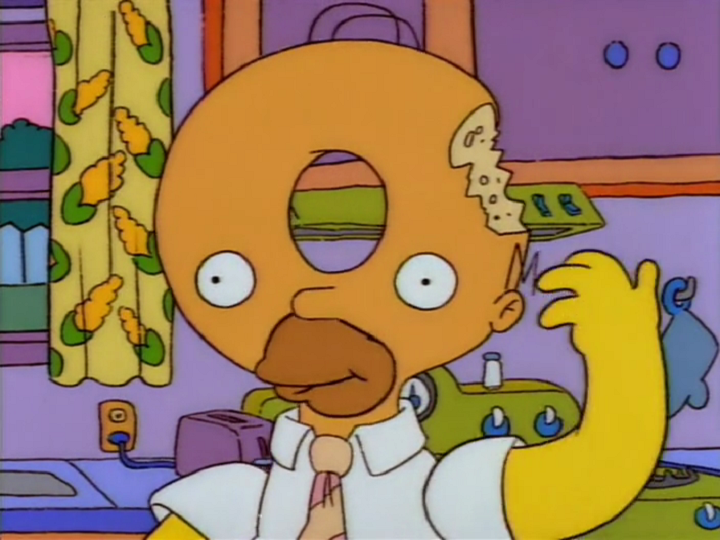 She appeared in a story narrated by Marge Simpson, in which she was played by Selma Bouvier. 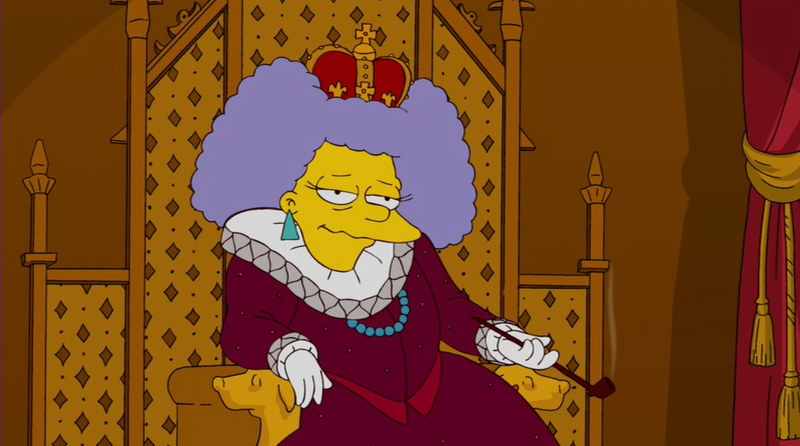 Marge told the kids that King Henry VIII's daughter, Elizabeth, became a queen. Queen Elizabeth I had been referred to by Lisa as one of her feminist heroes in one dream she had. In 1588 she was proposed to by Prince Ralph and King Julio but said no to them. After she rejected King Julio, the king of Spain, he decided to attack England. Elizabeth started to like Sir Walter Raleigh after he came back from America with tobacco. Before she met him the first time she showed little interest in her Lady in Waiting. After Sir Walter Raleigh stopped Spain's attacks she dubbed him Sir Sir Walter Raleigh. Zia Simpson has a picture of Queen Elizabeth I on her wall at the Ultranet. ↑ "Smoke on the Daughter"
Modified on August 15, 2017, at 07:33.